Navigate Facebook Like a Pro With These 101 Tips. Facebook has a user base of 600 million people. If you talk to many of them especially in the older age groups, they don't really know their way around. Complete mini-site with PSD, banners and more. Master Resell Rights (MRR) is included. Private Label Rights (PLR) is included. 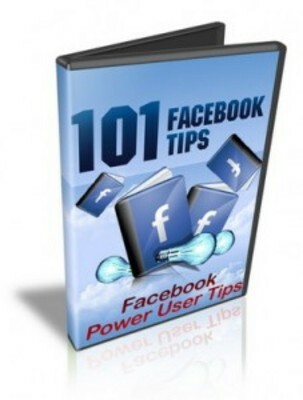 101 Facebook Tips MMR +Facebook Business Basics PLR facebook;facebook marketing;tips 147973446 8.95 tradecenter Fresh Download Available!